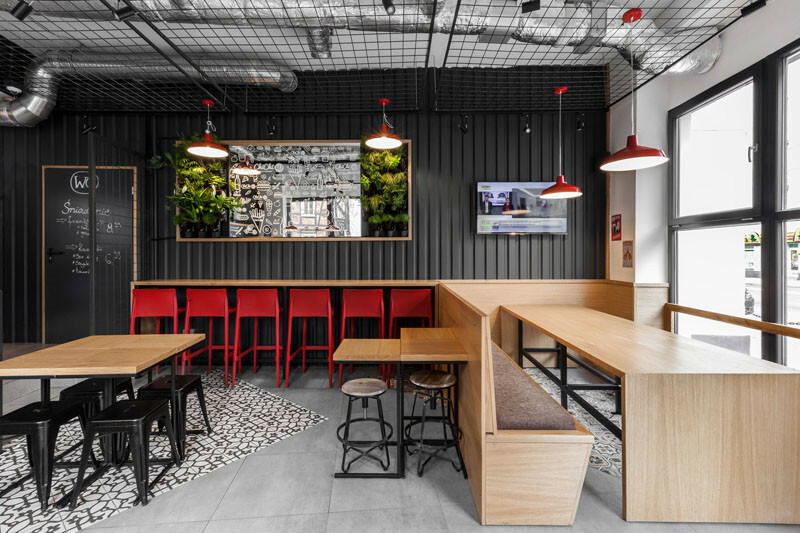 We often see corrugated steel being used on the exterior of houses (see examples, here), but as part of the design for this restaurant, black corrugated steel was brought inside, and used on the interior walls of this burger restaurant. 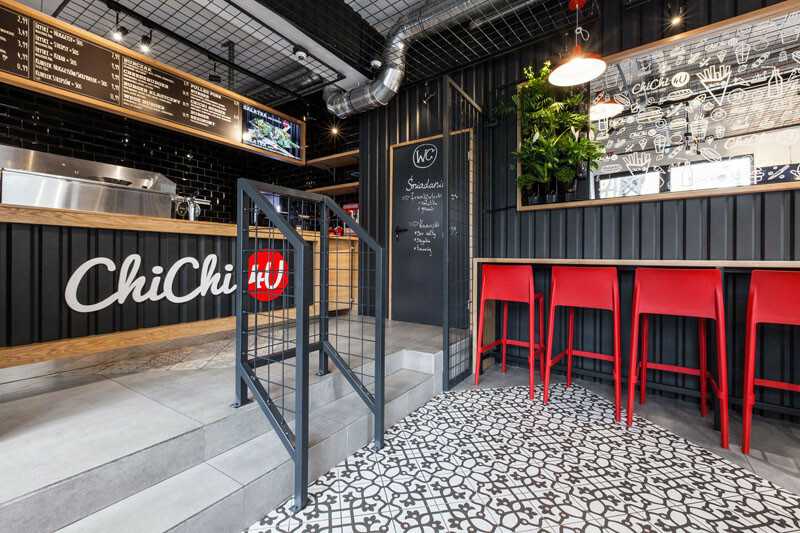 Designed by Pawel Garus & Jerzy Wozniak of mode:lina architekci, this new restaurant in Poland, named ChiChi 4U Bar, has used the texture of corrugated steel to give it a rugged contemporary industrial feeling. 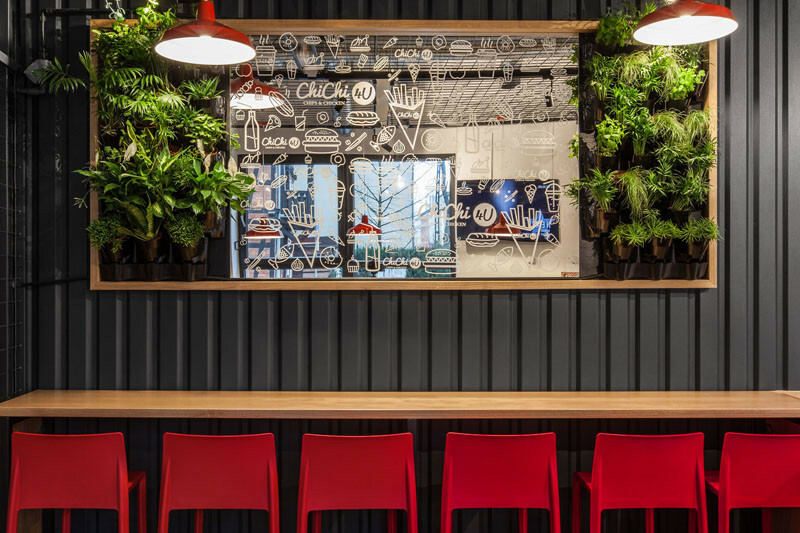 This is the second location for the restaurant brand. 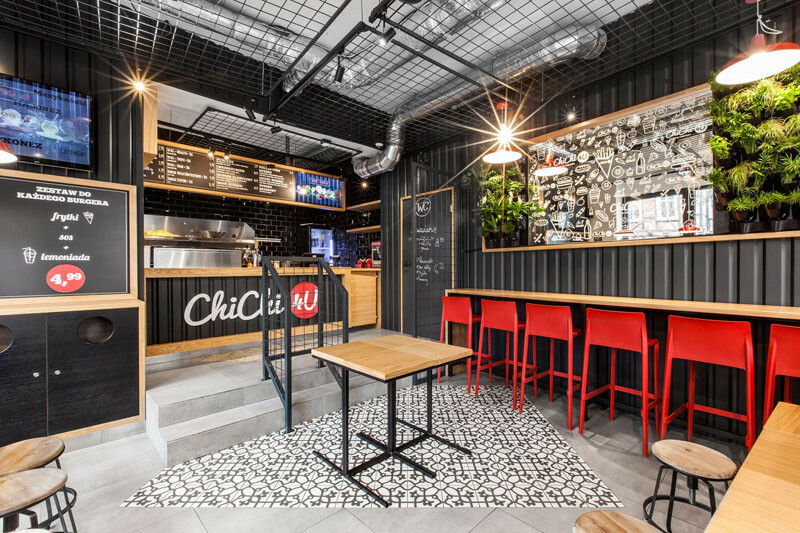 The first location was in a black shipping container, so the designers used the corrugated steel on the walls to maintain that look at this new location. 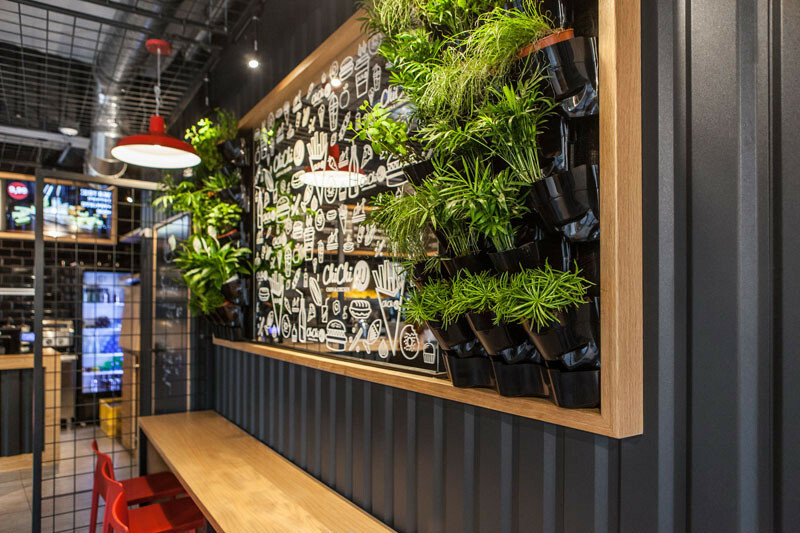 The black corrugated steel has been used for most of the walls, only being broken up by the occasional wood elements and plants. 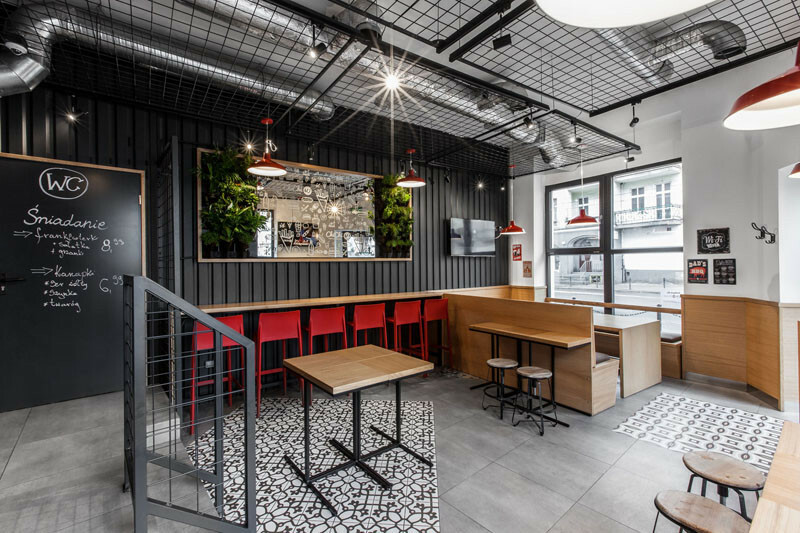 The steel is also extremely durable and is a washable surface, which makes it a good functional choice for being inside a restaurant. 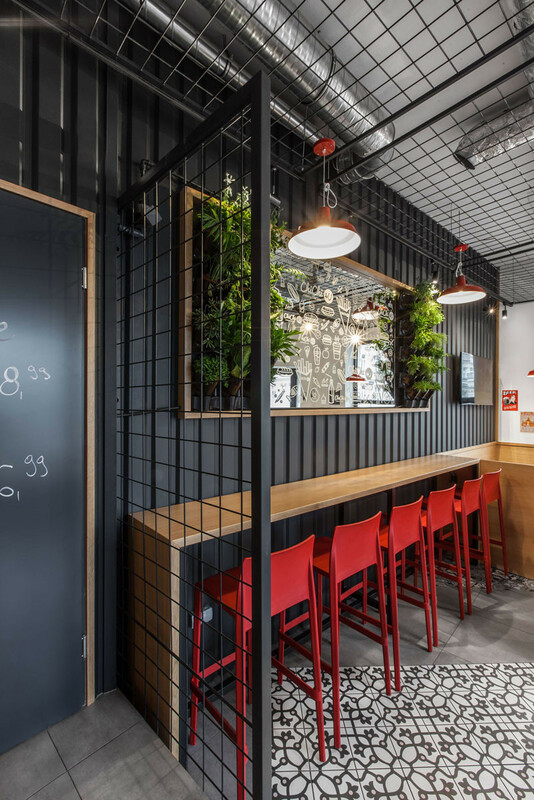 The steel was also used because it was quick to install over the old walls.